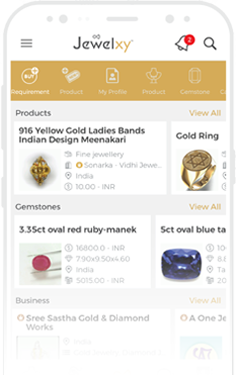 We are a comprehensive B2C and B2B jewellery marketplace offering a versatile online platform to connect business in jewellery trade across the globe and aiming to be the most up-to-date global jewellery business network. A professional jewellery business networking platform for global trade & international business development. We help business in B2B sector to grow with networking, marketplace & analytics. Simply say what you need, and wait for the suppliers to come to you. You can compare prices and choose the best deal without ever leaving your store. Target the right people by advertising in a trade portal aimed specifically at fellow jewelers! Reach millions of customers all over the world with affordable online marketing. No technical knowledge required. We offer all the tools necessary to create your own professional website, complete with a product showcase and to show off your new products, offers, and deals - a perfect jewelry marketplace. Our sophisticated tools let you find more qualified leads, new buyers, and business opportunities than any others, with endless opportunities to expand!